Music is widely seen as a window into the spirit of the time it was written. Patriotic music is a prime example of this. The experience of a nation is told through patriotic music in a way that other forms of music often miss. Whether it be the pride of victory or a vocal expression of the beauty a nation possesses, there is something about patriotic music that speaks directly to national identity. The centennial of The Star-Spangled Banner brought a renewed interest in the song and the story of how it came to be written. Though the United States would not enter World War I until 1916, the conflict in Europe was on the minds of Americans everywhere and the knowledge that they may soon become embroiled in a foreign conflict loomed over them. In the 200 years since Francis Scott Key wrote the words to The Star-Spangled Banner (then The Defense of Fort M’Henry), the song has proved to be just as resilient as the spirits of those who inspired it. The story of how the song was written is one that most Americans know. However, between its writing and today, the song has been through a number of changes, some subtle, some not. It was the Mid-West National Band Clinic, 1964. Merrill Jones sat alone at a table with his publishing company’s entire catalog — one piece by Claude T. Smith, a well-known band director in the area around Kansas City. The year 2014 could prove to be significant for the legacy of Carl Philipp Emanuel Bach. The second surviving son of the great Johann Sebastian Bach was born on March 8, 1714, and a flurry of events worldwide will commemorate the 300th anniversary of his birth. Six cities in Germany will hold celebrations this year, with the most extensive in Hamburg, where C.P.E. Bach spent the last twenty years of his life. We know the story of how The Star-Spangled Banner was written. Francis Scott Key, lawyer and amateur poet, sat aboard a British warship in Baltimore Harbor watching the bombardment of Fort McHenry when the lyrics came to him. On June 14, 1777, the Second Continental Congress authorized a brand-new flag – the Stars and Stripes — for a brand-new nation, the United States of America. Though President Woodrow Wilson established June 14 as Flag Day with an official proclamation in 1916, it was not until 1949 that June 14 was established as National Flag Day by an Act of Congress and signed into law by President Harry Truman. 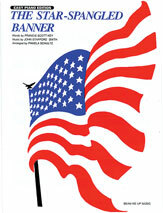 By the time Flag Day was officially established, some of our country’s most well-known patriotic music had been written.